The second issue raised was whether Article 50 could be extended. “The simple answer is that the EU would not consider the request for the extension of the Article 50 deadline unless or until we have a clear plan to go forward,” Mr Hammond said, echoing statements by experts and the prime minister on Wednesday, who pledged that there would be no second referendum or extension of Article 50 for the purposes of stopping or delaying Brexit. The Chancellor continued: “The sequence has to be first to reach out to opinion across the Commons to establish the terms on which we can build a majority for a way forward in the Commons. The Remainer, who holds arguably the second-most important position in Government, also ruled out what her termed “unicorns” — namely “ideas that would involve fundamental renegotiation of the deal we have done with the EU,” which would include proposals set out Tuesday by European Research Group (ERG) vice-chairman Steve Baker MP, who said the Government should return to the negotiating table and open talks on the free trade agreement that the bloc had reportedly offered the United Kingdom over a year ago. 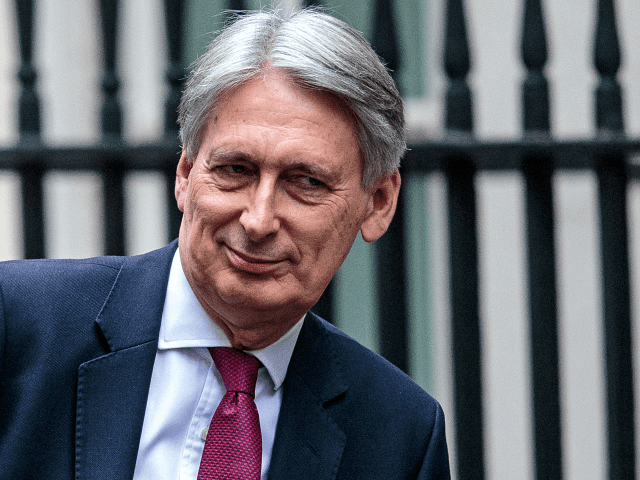 These revelations represent the latest attempts by the Chancellor to frustrate Brexit or keep Britain as closely aligned as possible to the political bloc, subjected to huge swathes of the EU’s rules and regulations. Hammond’s Treasury published a letter in August that said a No Deal Brexit would result in “large fiscal consequences” — after then-Brexit secretary Dominic Raab had assured the Government the country was well-prepared for a WTO exit. The letter was seemingly published without the knowledge or consent of Number 10. In October, dozens of MPs called for Hammond’s sacking after he published a series of doom-laden, anti-Brexit economic forecasts. The following month, he claimed No Deal would do harm to the economy in predictions condemned as “inaccurate,” with other commentators accusing him of stoking “Project Fear” — a series of dire predictions about the result of a vote to leave the EU by his predecessor George Osborne which turned out to be overwhelmingly false.